"WINTERTHUR, Switzerland - Researchers at the Swiss Federal Institute of Technology Zurich, have published a paper that argues just 147 companies account for a large chunk of the total economic value of all the transnational companies around the world. Among the top 50 corporations, 45 operate within the financial industry. Barclays PLC is the most powerful, according to the study, followed by such well-known names as JPMorgan Chase & Co., UBS AG, and Merrill Lynch & Co., Inc. The United States takes home first prize with 24 companies cracking the researchers’ top 50 list, followed by the U.K. with 8, France with 5, Japan with 4, and Germany, Switzerland and the Netherlands tying with 2 companies each. All pups have been wormed and had their shots. Small adoption fee. Call Beth Luther at 724-238-4513. Take a sneak peek at Connections Cafe's evening menu for Thursday! Happy Halloween from Ligonier tavern! "WASHINGTON — A prominent physicist and skeptic of global warming spent two years trying to find out if mainstream climate scientists were wrong. In the end, he determined the mainstream scientists were right: Temperatures really are rising rapidly. The study of the world's surface temperatures by Richard Muller was partially bankrolled by a foundation connected to global warming deniers. He pursued long-held skeptic theories in analyzing the data. "The skeptics raised valid points and everybody should have been a skeptic two years ago," Muller said in a telephone interview. "And now we have confidence that the temperature rise that had previously been reported had been done without bias." There is no reason now to be a skeptic about steadily increasing temperatures, Muller wrote recently in The Wall Street Journal's editorial pages. Muller said it makes sense to reduce the carbon dioxide created by fossil fuels. One-quarter of the $600,000 to do the research came from the Charles Koch Foundation, whose founder is a major funder of skeptic groups and the tea party. The Koch brothers, Charles and David, run a large privately held company involved in oil and other industries, producing sizable greenhouse gas emissions." to see DRACULA, THE MUSICAL? at the Ligonier Theater today at 2:30 PM. For tickets, call 724-238-6514. Walk-ins are always welcome! "COOPERSTOWN, N.Y. — The letter that arrived in Kim Jastremski’s mailbox on County Highway 52 suggested that she stop protesting the possibility of natural gas drilling. It seemed more of a threat than a request. Computer-generated, unsigned and sent to about 10 other opponents of a practice known as fracking, it compared them to Nazis and said they were being watched while picking up their children at school in their minivans. The debate over horizontal hydraulic fracturing, or fracking, the injection of huge quantities of chemically treated water underground to free up natural gas, has become increasingly contentious across the Eastern United States, with dozens of communities passing or considering bans. But that ill will often takes its most intimate form in small towns and rural areas like this one, where fracking has emerged as the defining, non-negotiable political issue." Lucy is a 5 year old beagle who weighs about 20 lbs. Lucy tunneled under her fence this morning on Turkey Inn Road just off 271 north. She is a recent rescue and her owner, Rich, is very worried about her. If anyone sees her please call Rich at 724-989-0554. HOT homemade Organic Potatoe and Leek Soup...Today! Beat the Early Winter Blues....simmering in the pot NOW at Rosary Acres! Homemade Organic Potatoe and Leek Soup! Come and Get It! 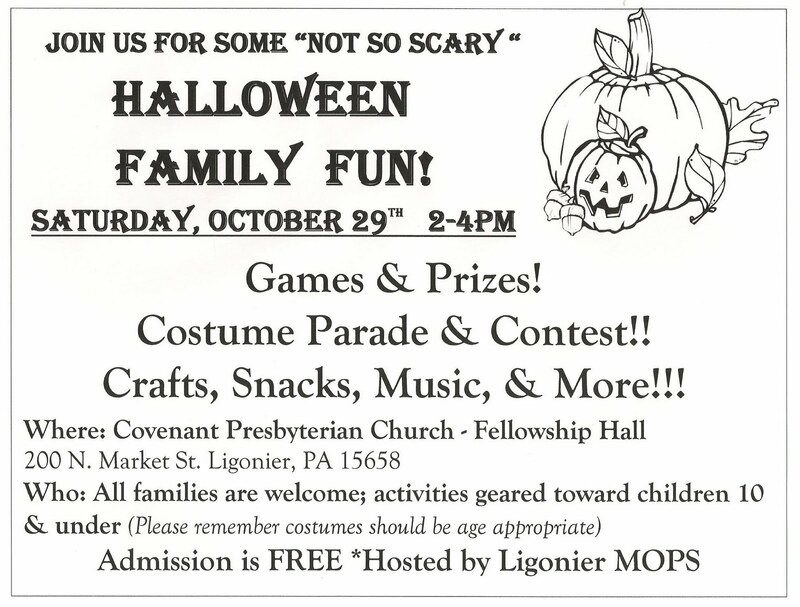 Mayor Bellas has declared Trick or Treat for Halloween will be held on Monday,October 31, from 6 to 8pm in Ligonier Borough. 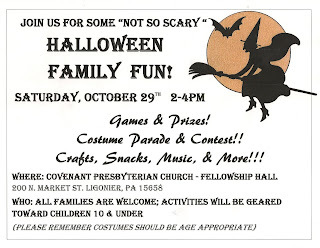 The Ligonier Township Supervisors have also designated Monday,October 31, from 6 to 9pm as Trick or Treat in the township. 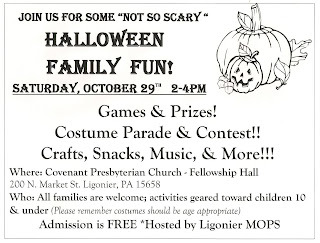 Visit Ligonier.com for more fun stuff. OCTOBER 21-30: The Valley Players of Ligonier will present the musical comedy spoof Dracula..the Musical on October 21, 22, 28 and 29th at 7:30 PM and October 23rd and 30th at 2:30 PM. For tickets and reservations call 724-238-6514. 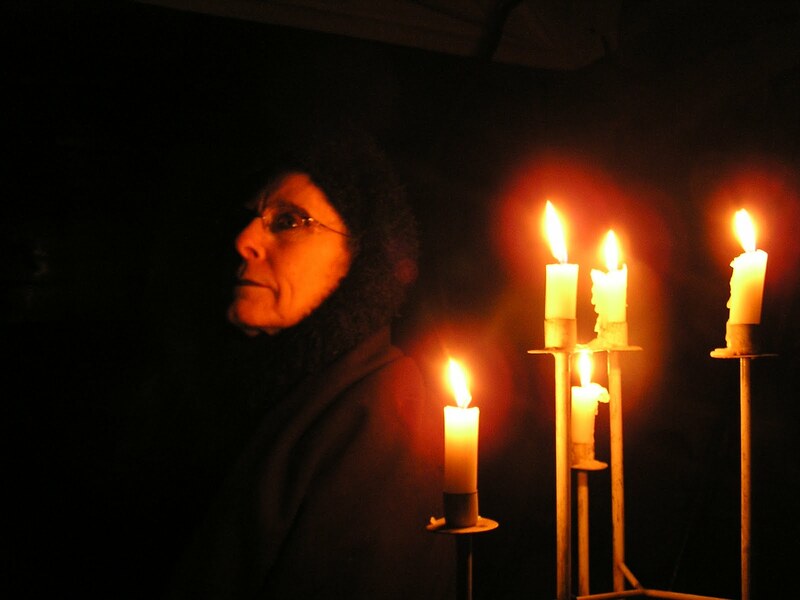 OCTOBER 28-29: It's a Halloween Haunting Storytelling Event at Compass Inn Museum Friday and Saturday October 28th and 29th from 6-9 PM and Sunday, October 30th from 5-8PM. 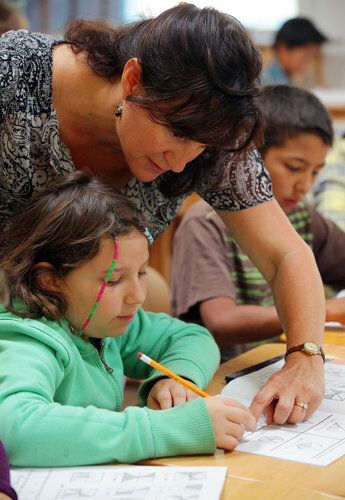 Admission is $4.00 for ages 12 and up and $1.00 for children under 12. Call 724-238-4983 for more information. NOVEMBER 5: Action for Animals will hold their annual cash bash at Huber Hall in Latrobe. Come out to support this worthy cause. Call 724-244-3996 for more details. NOVEMBER 18-20: It's the musical comedy Nunsense A-men at the Ligonier Theatre for four big shows November 18th at 7:30 PM, November 19th at 2:30 and 7:30 PM and November 20th at 2:30 PM. Cost is $15.00 for adults and $10.00 for students. For reservations, call 724-238-6514. THROUGH DECEMBER 24: The 2011 Christmas ornament is now available at the Chamber office, Antiochian Village or at the Ligonier Sweetshop/Pathfinder Photo. This year's ornament features Antiochian Village. Cost is $9.00 plus tax. Good morning, Ligonier and HELLO SUSIE SNOWFLAKE! Fresh and Wild caught CoHo Salmon and Sword Fish Steaks! Fresh Organic Produce Arrives at Rosary Acres! Fresh Organic Produce in tonight: Look at the great Red Chard and Collard Greens...Also Blueberries, Leeks, Honey Crisp Apples, Broc, Cali, Pine Apples, Artichokes, Stawberries, Romaine Hearts, Green Beans and much more! Fresh Mediterra Bread! "They same time is money, and now it’s being used as a currency in an emerging barter system developed by cash-strapped Greeks who want to swap goods and services. “In the Time Bank we exchange voluntary services. Sometimes I give painting lessons for free but I take yoga for free also,” says Niki Roubani of the Bank of Voluntary Time project. “It’s huge, it’s everything we do without money. It’s looking after people and making things ourselves. We still have the memory of an agricultural society in Greece, where people used to do things together. They would harvest the olive tree of my family this week and then the next week we do the olive trees of your family. So they would exchange services – and people like that,” says Niki Roubani. The Time Bank is just one of a growing number of service-swapping alternatives that are providing people in Greece with an imaginative way to cope with the tough economic conditions." The top fifth of the population saw a 10% point increase in their share of after-tax income. All other groups saw their shares decline by 2 to 3 percentage points." Put Thursday Night on Your Calendars! If you missed Connections "Dinner with Friends" last night, you missed a great fall feast! Mark your calendars for next Thursday, November 3rd and join us for a delightfully good meal. Dining is BYOB and begins at 6:00 p.m. Reservations required. If you can't wait until Thursday, stop down for lunch any day of the week. Today's sandwich is fontinella cheese with roasted peppers and garlic ($5). Soups are Minestrone and Curried Coconut Pumpkin ($3 or $5). Half sandwich and soup is also available ($5). 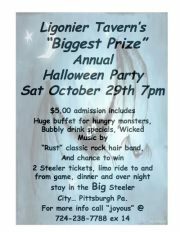 SPOOKY HALLOWEEN PARTY AT LIGONIER TAVERN'S HAUNTED 3RD FLOOR SAT NIGHT! 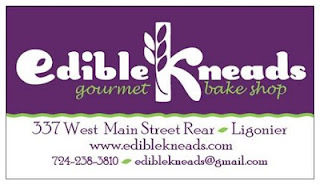 Edible Kneads Gourmet Bake Shop is Open! We have finally opened our doors, so come on down and grab a delicious gourmet bagel with one of the specialty cream cheeses, hand-made granola, soup, or a bagel sandwich! Enjoy an irresistible cakepop made by The Cakepop Lady or one of our variety of other savory and sweet treats. You can also get a freshly brewed cup of coffee from Old Linn Run Coffee Bean Roastery. We have so many laws and regulations created at every level of government - too many in my opinion. Lawmakers tend to make new laws to resolve problems that could be resolved by existing laws or regulations. Ligonier Borough is like every other legislative body. It's full of well meaning public servants who want to help. I'd like to help, too, by pointing to some possible solutions to the parked motor home dilemma and suggesting that enforcement of existing law be used rather than the creation of yet another set of regulations. I don't know if the motor home in question is inoperative or unlicensed. If it is, then existing law in Ligonier Borough seems to prohibit the storage of the vehicle on any street in the borough. By definition a motor home is a mobile home and so at minimum the Ligonier Borough ordinance concerning the permitting of a mobile home should come into play. § 135-36. Unlawful to store or exhibit certain vehicles. It shall be unlawful for any person, partnership, firm or corporation to use any street, or any portion thereof, in the Borough of Ligonier for the purpose of exhibiting or displaying any vehicle for sale, rent or exchange or for storing any vehicle that is inoperative or does not bear the current registration plate. Well, there is too much in the zoning ordinance that applies so I'll just say that this motor home is clearly - in my opinion - an accessory structure and therefore Ligonier Borough has existing rules in their zoning law to force removal. There are a few different enforcement options in the code. Here's the link so you can peruse it for yourself. new regulations on the way for Ligonier Borough? Stickney said at last evening's planning meeting that the motor home is "not an appropriate use of the neighborhood," referring to the homes on Gist and Bunger streets. Those houses share Plum Alley behind their lots. The motor home has been parked off Plum Alley in a neighbor's yard for 43 days, Stickney said, and is being used as a second home on that lot. According to the transportation reimbursement forms, Dr. Oldham charged the LVSD mileage for her presence on the Review Stand for Fort Ligonier Days. She charged 55 1/2 cents for 44 miles. What was the educational value for Dr. Oldham's attendance at the taxpayers expense? The band was there, however, a band director is in charge. Was it to be with the "Friends" of Ligonier? But furthermore, why are we paying for Dr. Oldham's starting point from home rather than the administration bldg? She chose not to live in the district. She charges mileage from home to attend functions that are not during school hours. What a sweet deal! The board needs to revisit and refine the perks for mileage. Starting point should be the administration bldg not an employee's home. General Permit Number WMGR064. General Permit Number WMGR064 authorizes the beneficial use of natural gas well brines for roadway pre-wetting (brines mixed with antiskid materials prior to roadway application), anti-icing (brines applied directly to roadway and walkway surfaces prior to precipitation event), and for roadway de-icing purposes (brine is applied directly to roadway surfaces after precipitation event). The Department is proposing to renew General Permit Number WMGR064 and make a major modification to the general permit to also authorize the beneficial use of natural gas well brines for (i) dust suppressant and (ii) stabilizer for unpaved secondary roadway systems. Backgrounder: Flowback water from fracking contains salt, and is being called a “natural brine” to be used for winter snow and ice clearing, and dust management. However, this flowback waste fluid also contains toxic chemicals, heavy metals and radioactive materials. This DEP permit allows the spreading of this flowback brine water over our roads in winter, to be tracked into our houses and to melt as runoff into our streams. 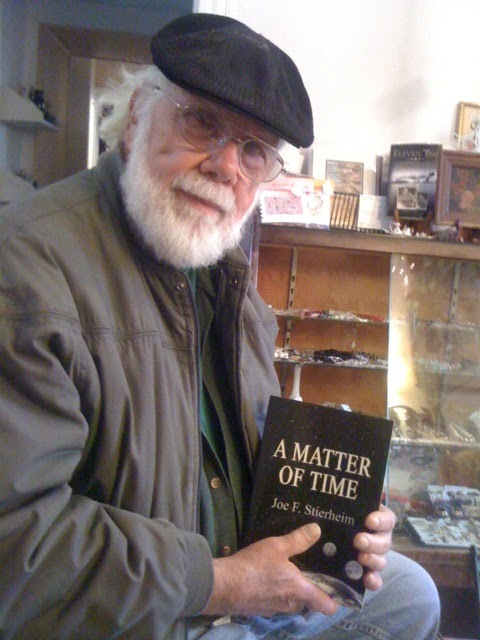 "It is the best of times because we have entered a period, if we can bring ourselves to pay attention, of great clarity as to cause and effect. A blessing when we consider how much suffering human beings have endured, in previous millennia, without a clue to its cause. Gods and Goddesses were no doubt created to fill this gap. Because we can now see into every crevice of the globe and because we are free to explore previously unexplored crevices in our own hearts and minds, it is inevitable that everything we have needed to comprehend in order to survive, everything we have needed to understand in the most basic of ways, will be illuminated now. We have only to open our eyes, and awaken to our predicament. We see that we are, alas, a huge part of our problem. However: We live in a time of global enlightenment. This alone should make us shout for joy." From Alice Walker's "We Are the Ones We Have Been Waiting For." hmmm...aren't they a part of the 99%??? Also new at Connections for lunch: Grilled Cheese - Today's sandwich is New York Extra Sharp White Cheddar on Ciabatta Bread - $5.00/ Cup of soup & half sandwich for $5.00. Today's soup - Minestrone. Ligonier Valley Trail coordinator Rose Stepnick said the volunteer group needs $40,000 by the end of the year to extend the trail over Mill Creek and preserve other funds obtained through grants. Letters will be sent to potential donors from the trail group, Ligonier Township's supervisors and recreation board, the Loyalhanna Watershed Association and Ligonier Borough. LIGONIER TOWNSHIP (KDKA) — It has been more than one year since an 11-year-old boy suffered a fatal gunshot wound at a home in Ligonier Township. Police have said another young boy pulled the trigger. They have now charged an adult in connection with the boy’s death. THE NUNS ARE COMING BACK! The original cast of "Nunsense A-Men!" are making a special appearance for one weekend only on November 18 at 7:30 PM, November 19 at 2:30 & 7:30 PM and November 20 at 2:30 PM. Reservations are being taken now at 724-238-6514 and seats will go VERY fast for this hilariously wonderful musical starring Eric Harris as Mother Superior, Jim Mikula as Sr. Hubert, Barry Shirey as Sr. Robert Anne, Curtis Caldwell as Sr. Mary Amnesia and Ryan Hubbard as Sr. Leo. Call today for YOUR tickets! "It would be a sin to miss it!" Fresh in NOW! 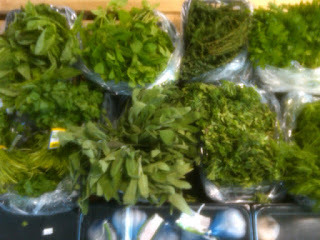 Organic Herbs! 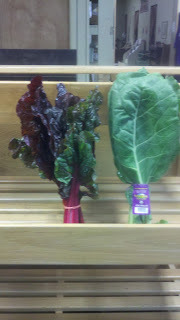 ALSO Fresh Kale, Green Chard and Red Chard and more! Come join us for Food! Fun! and Excitement! Must have Bingo on the last number called. Must purchase an entry ticket to win Bingo. So-called ‘talking surveillance cameras’ that use a speaker system similar to the Intellistreets model are already being used in UK cities like Middlesborough to bark orders and reprimand people for dropping litter and other minor offenses. According to reports, one of the most common phrases used to shame people into obeying instructions is to broadcast the message, “We are watching you.” Read more on InfoWars. Come to the Ligonier Theater this weekend for a hilarious musical spoof of the classic tale in "Dracula, the Musical?" The spook-tacular fun takes place Friday & Saturday at 7:30 PM and Sunday at 2:30 PM. Tickets $15 for adutls, $10 for students. For reservations, call 724-238-6514. See you at the Theater! This puppy was on top of a train going 50 mph that left from Pa and was heading towards Ga. The Ligonier Valley Historical Society is sponsoring the 7th annual Haunted Halloween storytelling event on Friday and Saturday, October 28 & 29 from 6-9 p.m. and Sunday, October 30, 5-8 p.m. at Compass Inn Museum. These spooky stories in an equally spooky setting will send a thrill and chill up and down your spine. 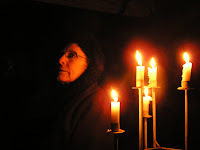 Join us for a night or two of ghostly entertainment! Parents will be advised beforehand which story locations may be unsuitable for young participants but there will be stories for every age. Refreshments and treats will be available for purchase. Admission is $4.00 for guests 12 and older and $1 for children under 12. 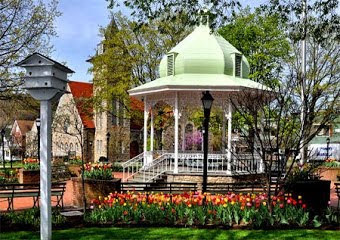 A Ligonier businessman and others convicted of masterminding the LeNature's fraud scheme that bilked investors and lending institutions are responsible for paying back $661 million to their victims, a federal judge ruled. U.S. District Judge Alan Bloch issued the order on Monday in the criminal cases against Gregory Podlucky, 51, the former CEO of the Latrobe bottling company. OCTOBER 24--Citing the potential of “Occupy Wall Street” to become a “global brand,” a Long Island couple has filed to trademark the name of the amorphous organization responsible for the protests and encampments in lower Manhattan and other U.S. cities, The Smoking Gun has learned. In a U.S. Patent and Trademark Office (USPTO) application, Robert and Diane Maresca are seeking to trademark the phrase “Occupy Wall St.” so that they can place it on a wide variety of goods, including bumper stickers, shirts, beach bags, footwear, umbrellas, and hobo bags. Read more on The Smoking Gun. The Lincoln Highway Heritage Corridor’s 3rd annual An Affair with Lincoln gala will be held at the Fred Rogers Center of Saint Vincent College, Latrobe on Saturday, November 12 at 6 p.m.. A portion of the revenue from this event will help with establishment of the Lincoln Highway Experience museum. A ride on the historic Lincoln Highway is more than just a way to get from Point A to Point B. It’s an experience! The experience theme will be evident throughout the special event, beginning with Pittsburgh’s renowned seven-person a cappella ensemble, In Acchord, who will be entertaining guests with contemporary and classic pop tunes. Since Silent Auction Baskets are so yesterday, bidding will be directed to Lincoln Highway experiences, many of which are priceless, as well as fine art and old world crafts. A sampling: Don’t just be among the 10,000 who watch the Fort Ligonier Days Parade, bid to have someone special IN the 2012 Parade; or an opportunity to take a personal tour of the Westmoreland County Court House. For the brave foursome, there’s a paranormal investigation of the oldest structures at Seton Hill University (dark clothing and no bling required). The Laurel Highlands has some of the best fly fishing in Pennsylvania. No matter the skill level, the lucky bidder is sure to get better after his/her 3-hour private fly-fishing lesson (with streamside catered lunch). Or, don a cleric collar and experience the drama of being part of the all male version of the theatre production of Nunsense. Want to get up close and personal to see the Pittsburgh Steelers practice next August? The winner of two field passes will. Then, there’s The Ride of Your Life Experience on the Great Allegheny Passage that is full of surprises. "Bankers and real estate executives, especially in New York, are starting to pay closer attention to the fine print and are raising provocative questions, such as: What happens if they lend money for a piece of land that ends up storing the equivalent of an Olympic-size swimming pool filled with toxic wastewater from drilling? “When you decide to sell your house you may find it difficult to do so because many banks, here and elsewhere, will not mortgage properties with gas leases, which, in turn, limits the number of buyers willing and able to buy your property,” wrote Linda Hirvonen, an agent in Ithaca, N.Y., in a newsletter last month." Available now at Whistlewind on North Fairfield, Ligonier. 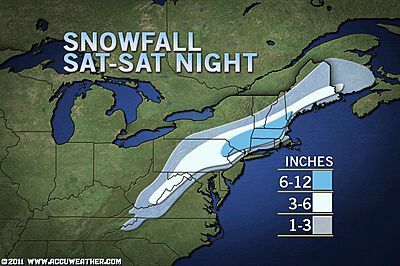 Oh fun! The free book selection for today is The Emerald City of Oz. "PERHAPS I should admit on the title page that this book is 'By L. Frank Baum and his correspondents,' for I have used many suggestions conveyed to me in letters from children. Once on a time I really imagined myself "an author of fairy tales," but now I am merely an editor or private secretary for a host of youngsters whose ideas lam requested to weave into the thread of my stories. These ideas are often clever. They are also logical and interesting. So I have used them whenever I could find an opportunity, and it is but just that I acknowledge my indebtedness to my little friends. My, what imaginations these children have developed! Sometimes I am fairly astounded by their daring and genius. There will be no lack of fairy-tale authors in the future, I am sure. My readers-rhave-told me,what to do with Dorothy, and Aunt Em and -Uncle Henry, and I have obeyed their mandates. They have also given me a variety of subjects to write about in the future -enough, in fact, to keep me busy..."
Rosary Acres now open MONDAYS! It's offical and starting TODAY! We are located right at the end of East Main next to Bull's Tavern. "Public fears are growing about contamination of drinking-water supplies from the chemicals used in fracking and from the methane gas itself. Field tests show that those worries are not unfounded. A Duke University study published in May found that methane levels in dozens of drinking-water wells within a kilometer (3,280 feet) of new fracking sites were 17 times higher than in wells farther away. Yet states have let companies proceed without adequate regulations. They must begin to provide more effective oversight, and the federal government should step in, too. Even the incomplete data we now have suggest specific safety measures. First, the weakest link in preventing groundwater contamination is the concrete casing inside well bores [see “The Truth about Fracking,” by Chris Mooney]. Inspection of casings should be legally required. Second, the toxic fluid that is a major by-product of fracking is routinely stored in open pits, which can overflow or leach into the soil. It should be stored in tanks instead. Third, gas companies should inject tracers with the fracking fluid so inspectors can easily see whether any of the fluid ends up in the water streaming from residents’ faucets. Finally, companies or municipalities should have to test aquifers and drinking-water wells for chemicals before drilling begins and then as long as gas extraction continues, so changes in groundwater are obvious." A 79-year-old Ligonier Township man is accused of threatening to kill a woman at his home earlier this month. Leonard M. Kruman of Hermitage Circle was charged by township police with attempted homicide, aggravated assault, making terroristic threats, false imprisonment and resisting arrest in connection with the incident at 2 a.m. Oct. 8. FLOWER MOUND, TX—Lorrie Squibb remember many days when she didn't feel well, but she didn't know why. "I was just sick, month after month," said the mother of two. Squibb says two months after she moved from Flower Mound to Michigan in 2010, she was diagnosed with multiple myeloma, a blood cancer that is often associated with factory exposure to toxins in men. "I am a stay-at-home Mom so there is no explanation about where I could have contracted this," Squibb said from her Michigan home. People still living in the area surrounding Squibb's old neighborhood in Wellington Estates in Flower Mound are concerned about possible cancer clusters, after a string of leukemia cases in children and breast cancer in women. State air testing near some natural gas facilities revealed high levels of benzene, a cancer-causing toxin. "People are getting sick and it doesn't matter what color they are or their economic situation," Sharon Wilson, organizer with the Texas Oil & Gas Accountability Project, said. "The thing that all of these people have in common is oil and gas drilling in their neighborhood." Chick says Somerset Trust will be open soon. 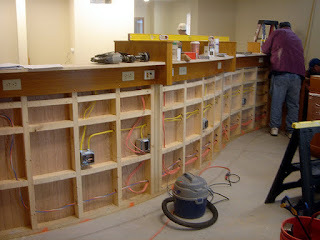 Monday will begin the last week of preparation to finalize the work on the Somerset Trust Branch in Ligonier. The bank will be open on the following Monday, October 31rst. 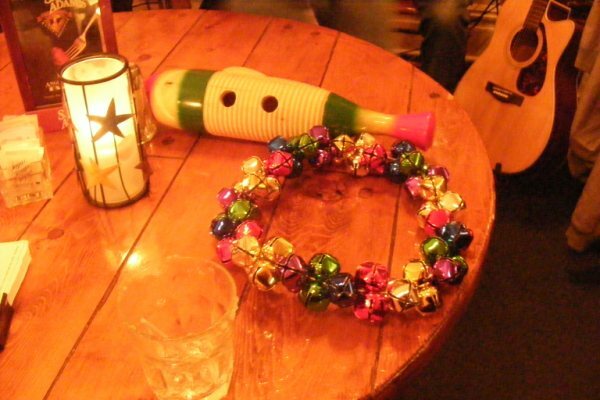 Things are either winding down or ramping up, depending on your view. The carpet will be installed on Monday. There are a lot of details remaining in the finish work of construction but our Job Superintendant, Chuck Sergent tells me, “We’ll be there”. Ligonier Valley Marching Band a video by The Graber's on Flickr. "Mineral resources extracted from public land are royalty free. Public mineral resources become private the minute you pull them from the ground, meaning the only costs incurred from mining on public land are operating expenses. It turns out you don’t even have to own a gold mine to own a gold mine! Perhaps you can see the problem here. A mine on public land apparently has no value to the taxpayers who own it, but to the extraction company reaping the benefits, it can be treated like a multi-million dollar tax liability. There is certainly a boom in the leasing of petroleum rights on public lands, but for the taxpayers this venture isn’t nearly so lucrative. Oil and gas companies enjoy savings of over $500 million each year from percentage depletion allowances in addition to other subsidies such as $6 billion in royalty free extraction from public land over the next 5 years according a report to the Government Accountability Office. Meanwhile, the societal, health and environmental costs of petroleum use are immeasurable. Estimates range from $500 billion to over $1 trillion dollars each year in added healthcare costs and environmental damage." Let us cook lunch or dinner for you today! 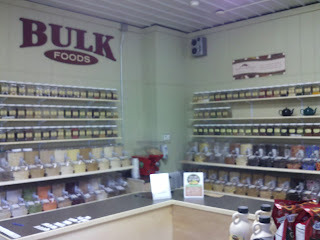 NOW AVAILABLE at ROSARY ACRES NATURAL & ORGANIC FOODS. And Mediterra Bread by the slice or loaf! 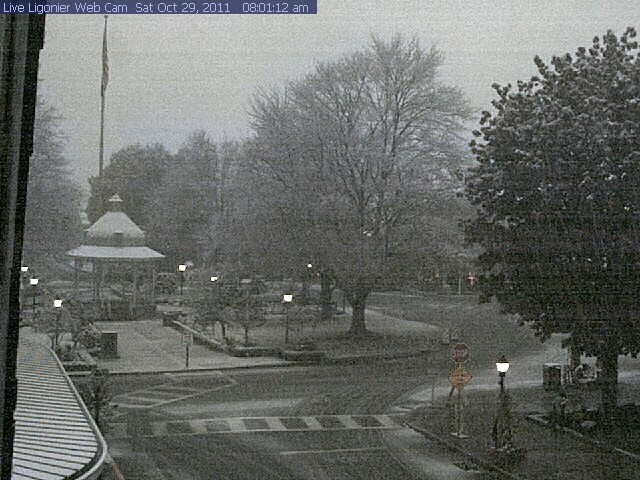 ALL RIGHT HERE IN LIGONIER! Stop in Today at Rosary Acres for a SAMPLE! 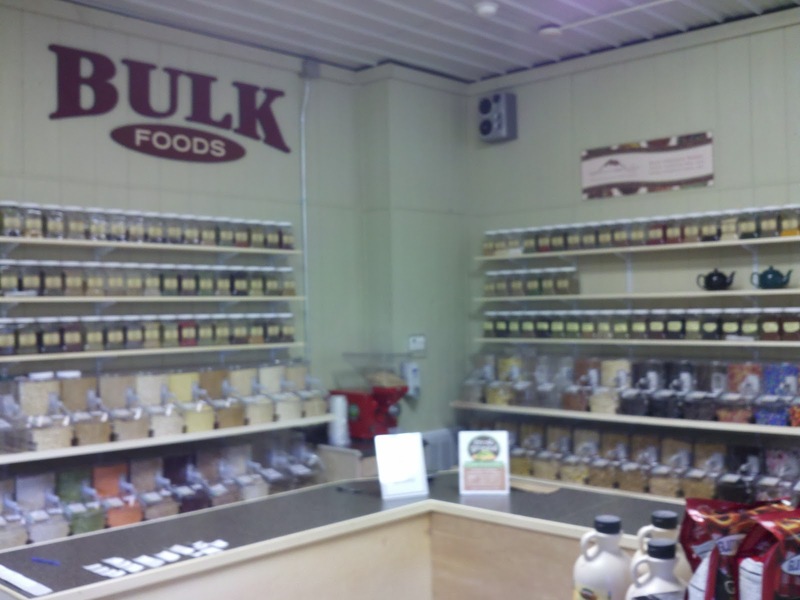 Stop in TODAY for a sample! Our Homemade Bacon and Sage Stuffing made with Mediterra Bread!!! Use as a SIDE DISH, BREAKFEAST or STUFFING your BIRD! made to order! The Barn at Ligonier Camp and Conference Center on 711 until noon. See you soon! JUST IN at Rosary Acres! 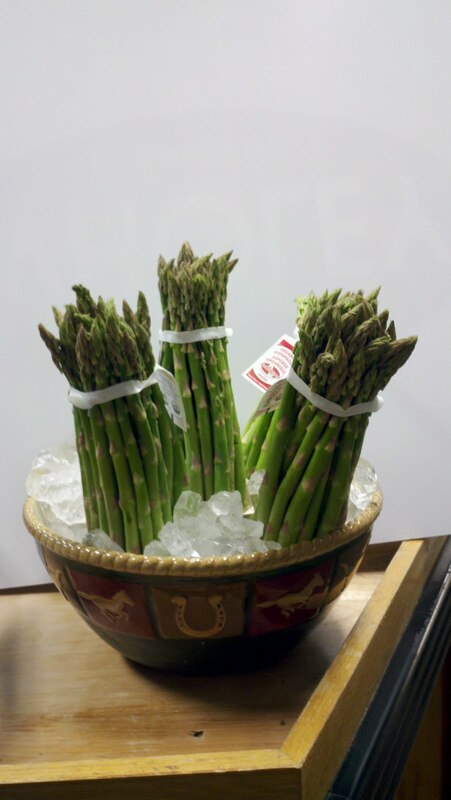 FRESH Organic Cranberries, Asparagus and much more! Today we have all Organic Fresh Homemade GREENS and BEANS Soup. ingredients: 2x types of kale, 2x types of chard, onion, garlic and it is vegan. Also Mediterra Bread by the loaf or the slice! The Obama administration has decided to withdraw U.S. forces from Iraq by the end of the year after failing to reach an agreement with the Iraqi government that would have left several thousand troops there for special operations and training. President Obama and Iraqi Prime Minister Nouri al-Maliki spoke Friday morning to cement that agreement in a scheduled telephone call, according to people familiar with the agreement.